“Participation” has become a buzzword in the development and peace-building sector. Approaches to programme design, programme implementation, and programme monitoring and evaluation are increasingly expected to be less “top-down” and to instead ask for the input and involvement of members of local communities. 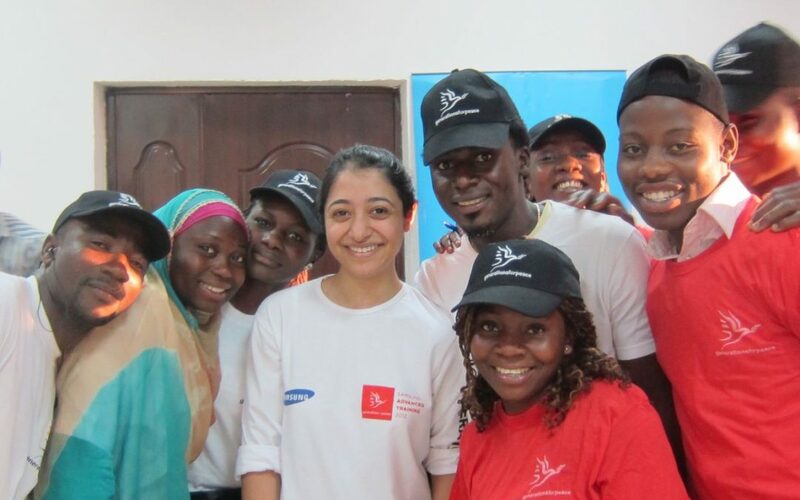 There are a whole series of advantages to using participatory approaches in development and peace building – the participation of community members increases inclusiveness in and ownership over programme design; participation encourages transparency, accountability and credibility within programming; in addition, it offers opportunities for collective learning and decision-making when monitoring and evaluating programme activities. These advantages are incredibly persuasive for organisations that want their programming to be in tune with the needs and perspectives of local communities. While the advantages of using participatory approaches are clear for organisations, they are less clear for community members themselves. In all cases, in order to meaningfully participate, the level of commitment – in terms of both time and energy – required of community members is high. And the need for this commitment raises a big question: why should people participate? The idea here is to explore this issue by discussing the experiences that Generations For Peace (GFP) has had with participatory monitoring over the past three years. GFP has found it incredibly useful for the organisation to have community members participate in the monitoring process, but has also found it difficult to get people to participate in inclusive processes – all of which will be explored below. Second, volunteers are supported in the creation and measurement of their own indicators as measures of programme success. While programme outputs are tracked throughout the programme, volunteers measure locally sourced indicators of this kind once before the start of the programme (the baseline) and once after the conclusion of one round of programming (the endline). What is important here is the fact that indicators are both created and measured in a participatory fashion – that is, community members decide what is important to them in their programmes, and then they decide on the most locally relevant way to measure this in the community. First, volunteers have realised the importance of monitoring. From individual and group discussions, volunteers have demonstrated that they realise that it is necessary to have systems in place to measure the change caused by the programmes they run. Second, volunteers have shown considerable ownership of the process of participatory monitoring; they come up with their own standards of success and – with the support of GFP headquarters – measure and analyse changes in their community. Third, volunteers demonstrate improved monitoring and evaluation skills. There is evidence of this from their involvement in numerous types of trainings with GFP, both locally and internationally, and from the ever-improving set of indicators that they come up with. These successes are considerable, showing that GFP has the ability to monitor programmes in diverse environments by equipping local volunteers with the necessary skills to conceive of and measure programme results. Crucially, what these successes have in common is how useful it is for the organisation to use participatory methods of monitoring – by doing so, GFP is able to use simple, context-specific measures of programme success to show results in a way that is meaningful to the local community. While incredibly useful for GFP, why is this useful for the people actually involved in the participatory process? In particular, why should volunteers commit their time and effort to creating and measuring indicators themselves – and why should other community members spend time answering volunteers’ questions? On the ground, there have been three main challenges in GFP’s participatory monitoring process, and all three of them centre on these questions. The first is local resistance to monitoring processes; there has sometimes been resistance to carrying out monitoring by both the individuals tasked with implementing monitoring activities (volunteers) and those at the receiving end of them (local respondents). The second is the challenge of resource investment; data collection for monitoring purposes can be expensive in terms of manpower, time and finances needed to reach out to local communities. The third is a more general challenge regarding the difficultly of ensuring sustained engagement from the local community; collecting information from community members can be challenging once, but managing this twice is even more difficult – which means that gathering information for both the baseline and the endline can be quite a challenge. GFP’s experience with participatory monitoring suggests that the most important way in which many of the challenges to participation can be overcome is by incentivising participation in a more meaningful way. The benefits of being included in the design, implementation, and evaluation of a programme that affects local communities are important not just for the organisation supporting the programme but for the individuals who hail from those communities; these benefits should be spelled out in great detail to community members, so that they can understand why they are being asked to commit their time and effort to participatory processes. While financial incentives – especially when it comes to monitoring programme success – can raise concerns about both ethics and sustainability, incentivising participation by explaining the benefits of inclusion in a simple and relatable manner will go a long way to overcoming the challenges of participatory processes. What this post has demonstrated is that GFP’s experiences with participatory monitoring have demonstrated specific successes – building community-level capacity, ownership of the monitoring process, and ensuring local inclusion in monitoring. But this process has also exhibited challenges in the field. These challenges include local resistance to monitoring, the need for constant resource investment, and the difficulty of ensuring sustained community engagement. These challenges centre on a concern that plagues participatory approaches as a whole – that is, why should people participate? The answer is deceptively simple: explaining to people why they should participate – specifically, explaining why participation benefits them rather than just benefiting the organisation whose processes they are participating in – will go a long way towards improving both the amount and the quality of participation in community-based processes. W. K. Kellogg Foundation, “Introduction and Chapter One,” Evaluation Handbook (1998).